Vernon Ah Kee’s work is primarily a critique of Australian popular culture, specifically the Black/White dichotomy that locates itself in his work. His text-based installation work reveals and condemns the widespread and inescapable discrimination and racial stereotyping that Indigenous Australians have experienced since European colonisation and continue to experience in everyday life. All images appear courtesy of the artist and Milani Gallery. This entry was posted in ARTWORKS and tagged Vernon Ah Kee. Bookmark the permalink. Vernon Ah Kee was born in Innisfail, North Queensland. He studied a bachelor degree with honours in Aboriginal art at the Queensland College of Art. He held his first solo show, If I Was White at Metro Arts in 1999. 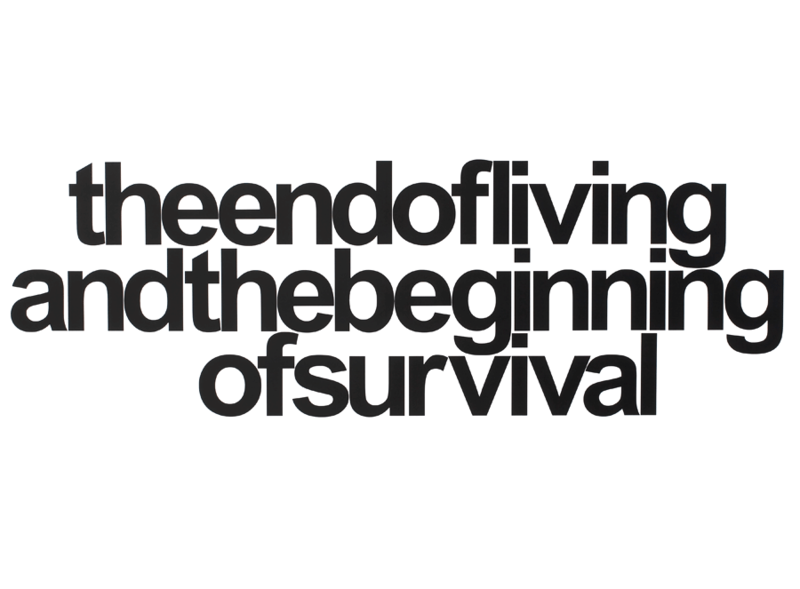 Ah Kee began with his text works, informed by war and propoganda posters and advertising imagery: these works use the direct effect of text whilst creating abstract shapes through a play with kerning and positioning. Ah Kee states, "Text is immediate. If there's something you want to say - write it" (borninthisskin, 2009). Ah Kee later began to produce drawings and portraits. The first show of these was Fantasties of the Good at Bellas Milani Gallery in 2004. These portraits draw upon anthropological imagery gathered in the 1930s when it was widely believed that Aboriginal people would become extinct. Ah Kee uses images of his own relatives that we photographed during this time, holding a close personal link to his subjects. In CantChant Ah Kee produced surfboards with rainforest-shield designs. More recently, Ah Kee has produced video works relating to the Palm Island riots. These works were shown in Tall Man in 2010. In 2011 he began to produce paintings - his first show of these was Bad Sign in 2011. This show served as a more conceptual continuation of Tall Man. His painted portrait of Lex Wotton was a finalist in the Archibald Prize 2012.